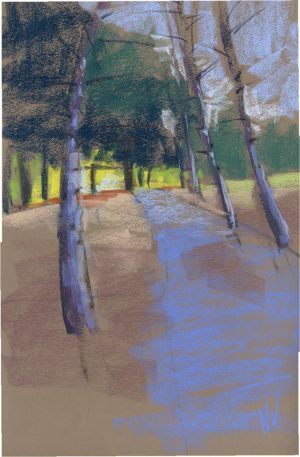 This is a pastel painting, 18×12″ of my dog Daisy walking through the woods along a dirt road. 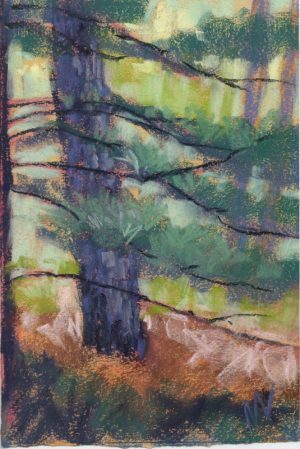 I love walking with my dogs in the Manistee National Forest near where I live in Fountain, Michigan. Every day we pick another two-track road to ramble along. It’s pure heaven. 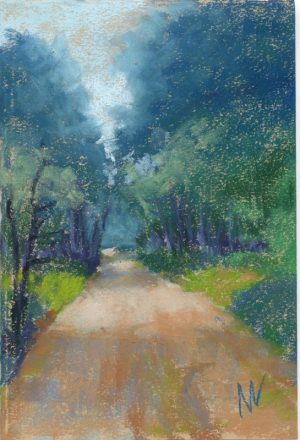 This is a painting based on a photo that I took of Daisy walking ahead of me on the road.